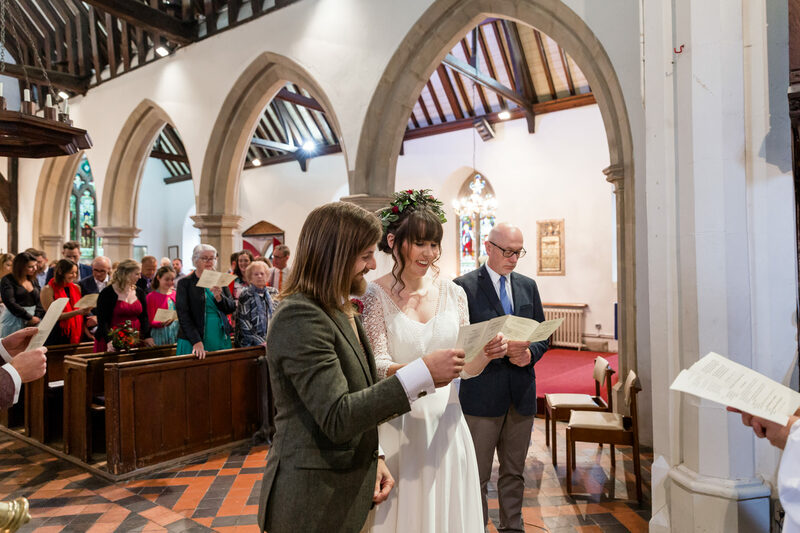 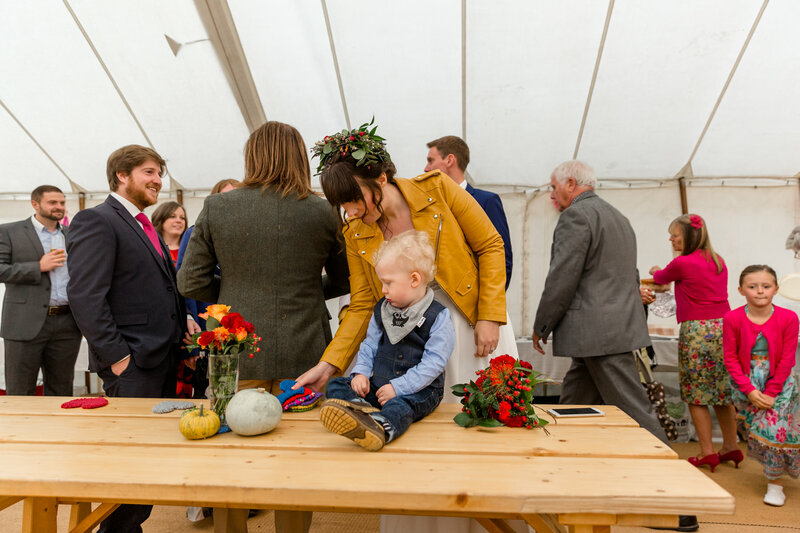 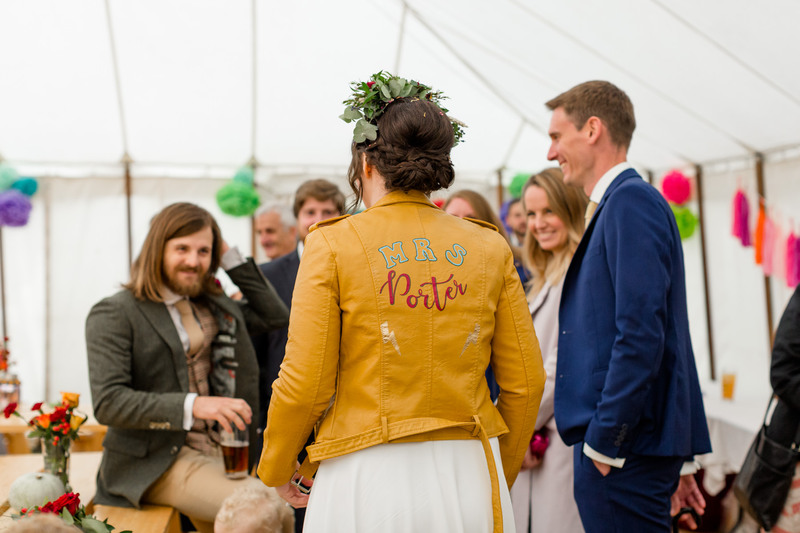 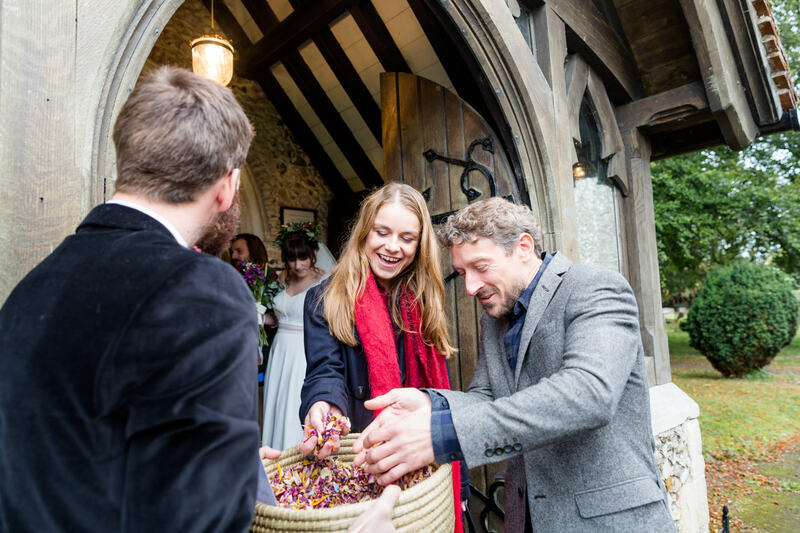 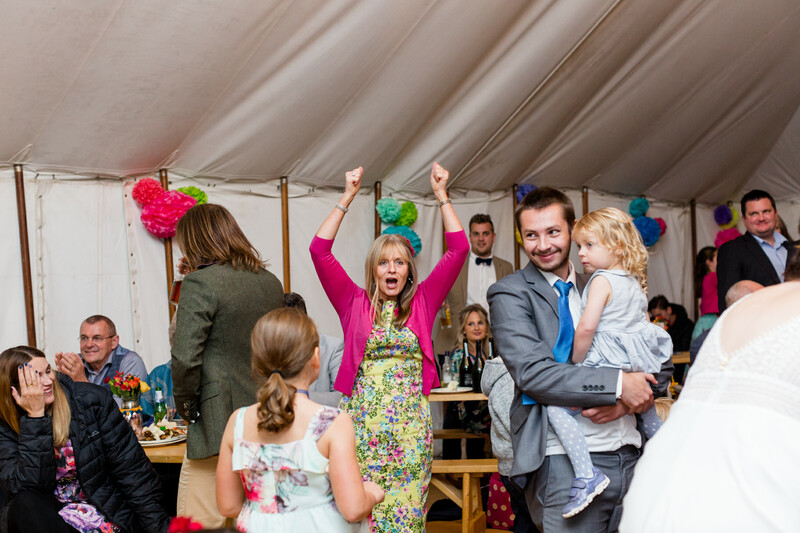 I always had a inkling Lottie and Mike’s wedding would be totally them, with few formalities and all of their favourites there to celebrate with them! 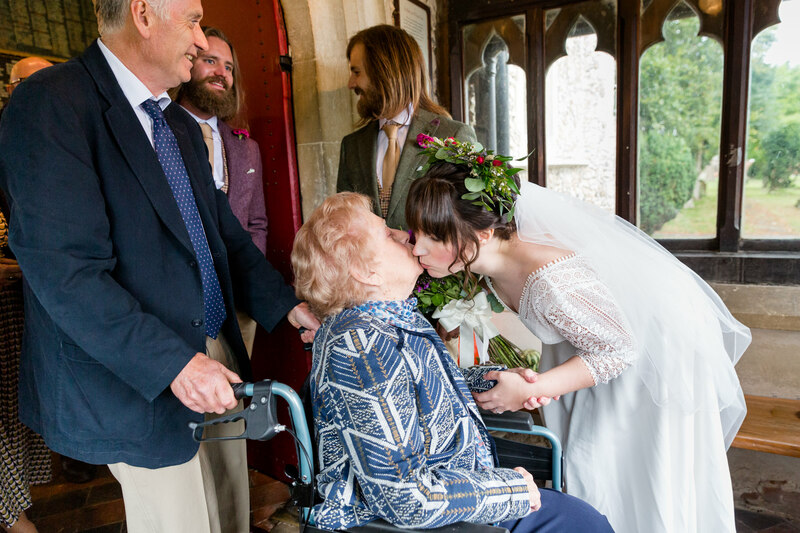 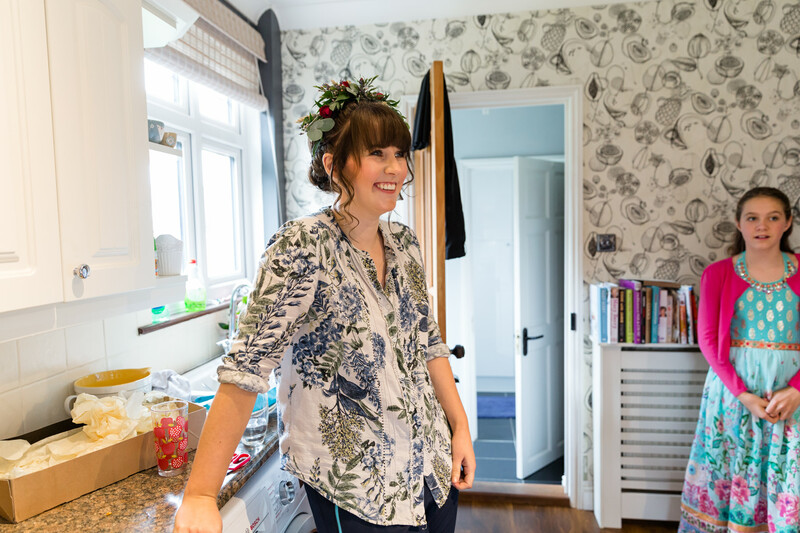 Getting ready at her best friend’s house before meeting her Dad at her Nan’s, Lottie is very much a free spirit and looked perfect in her Rock The Frock dress and beaut of a flower crown. 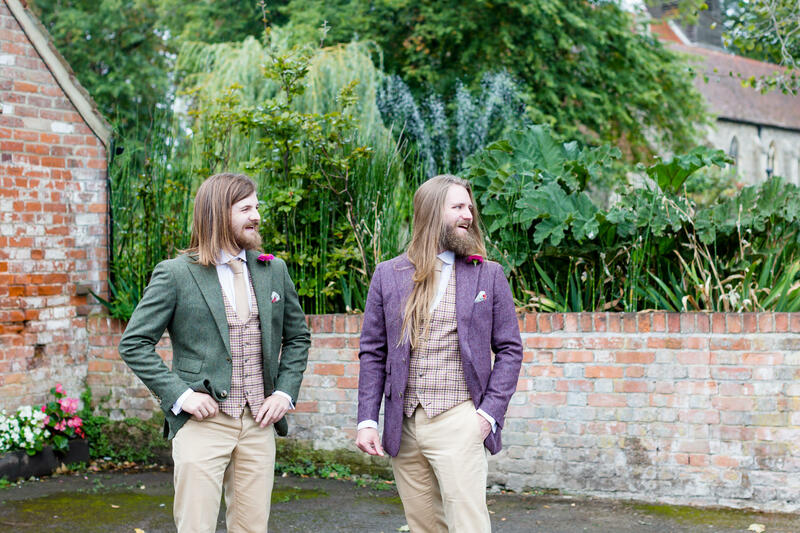 After a couple of drinks in the pub next door to the church Mike and his brother Matt were ready to head to the church. 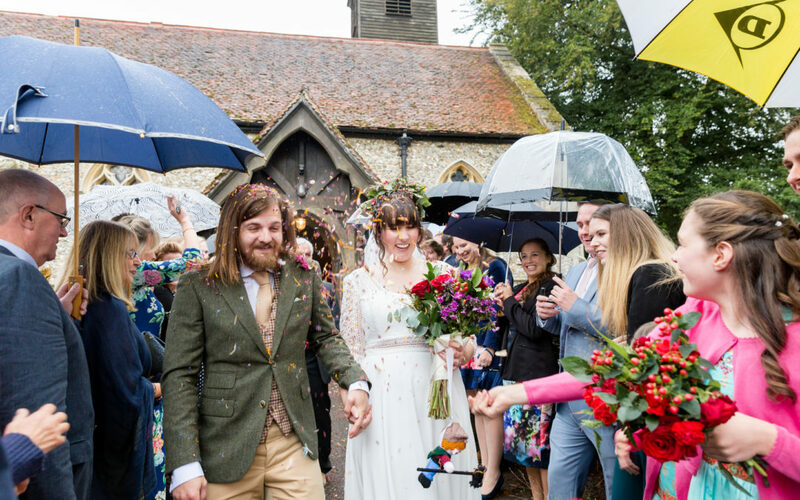 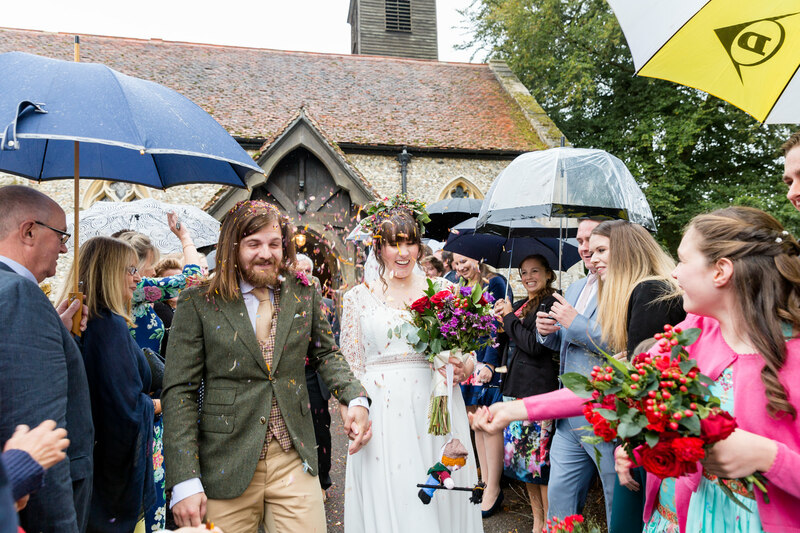 It had been raining for most of the morning and it continued to do so for the rest of the day, but spirits were very high and Lottie wanted that confetti throw come what may! 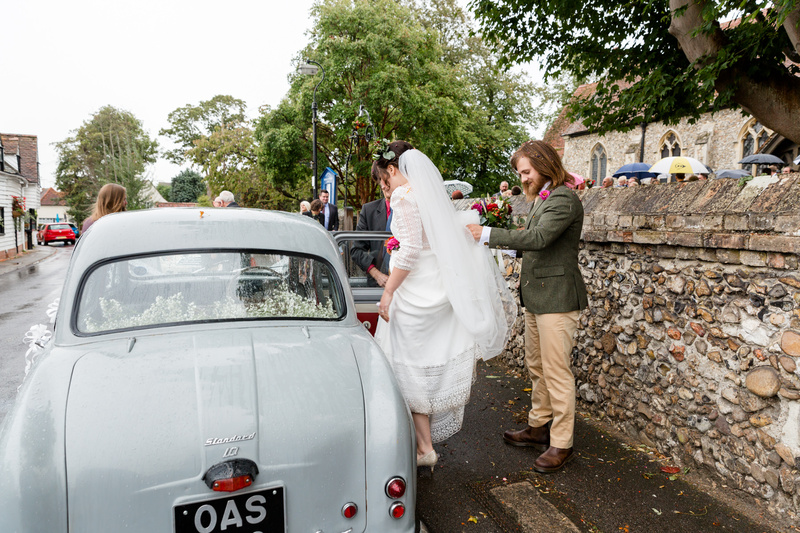 Matt drove them from the church to The Compasses at Littley Green in the family owned Standard Ten car – a very awesome little car indeed! 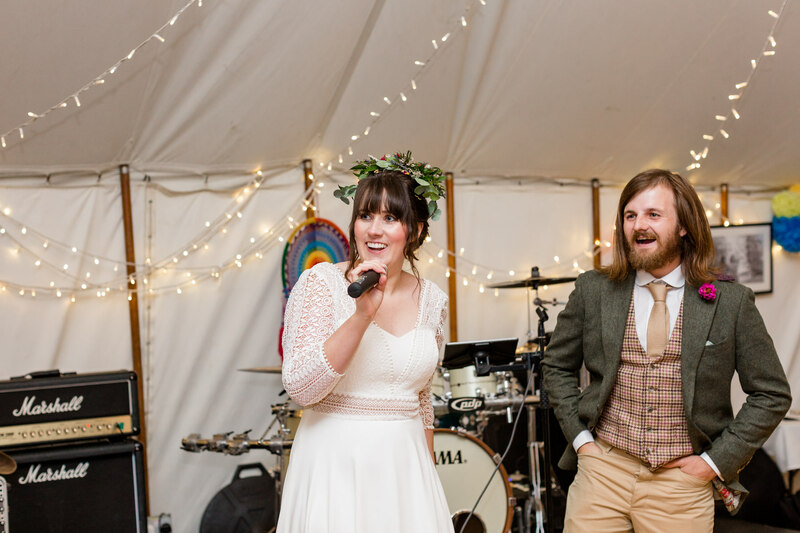 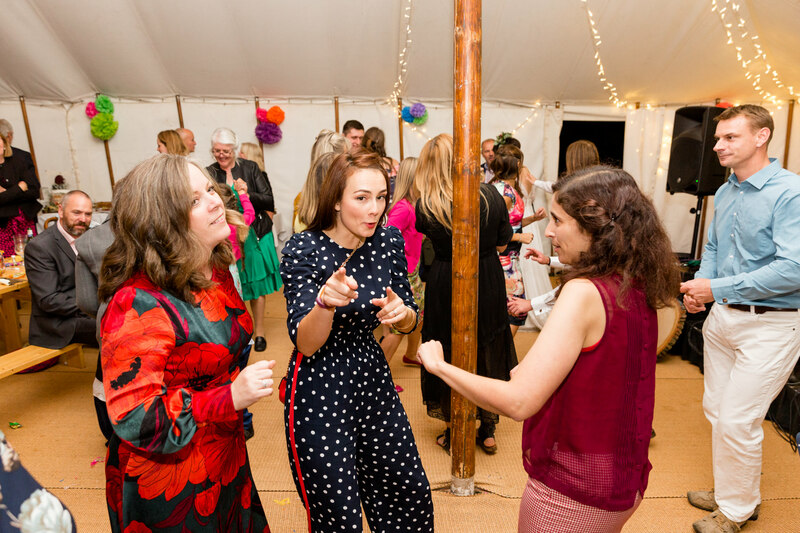 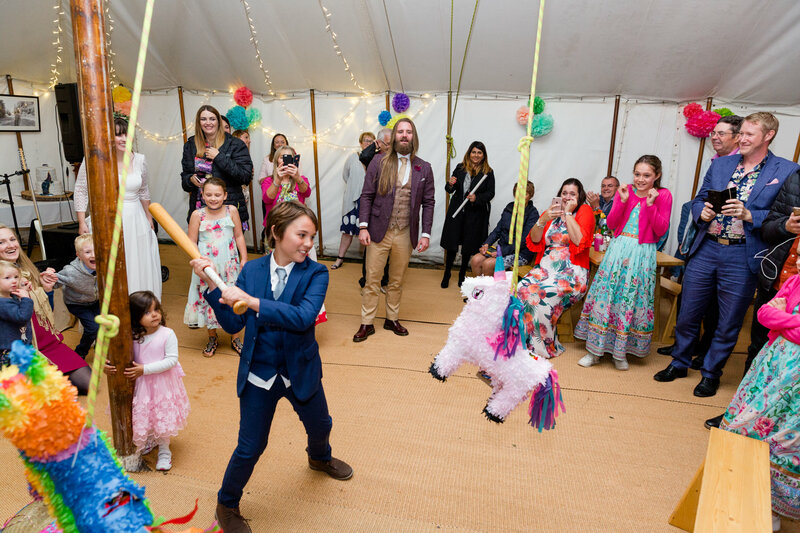 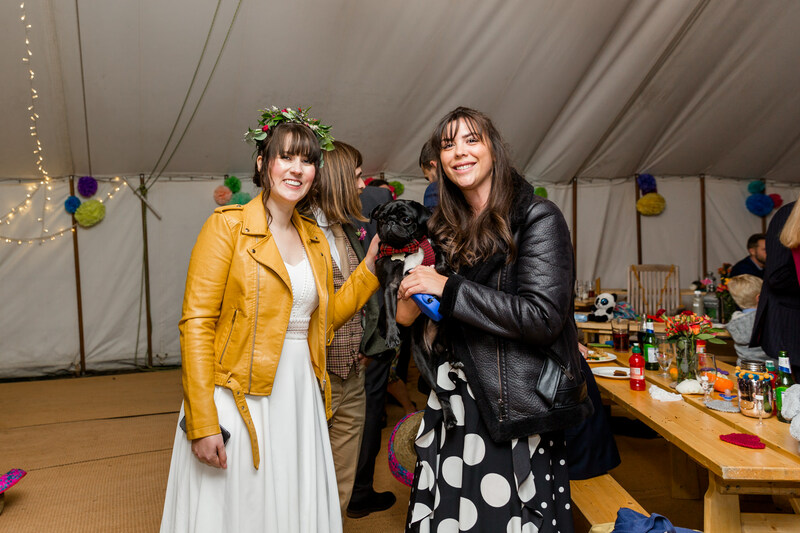 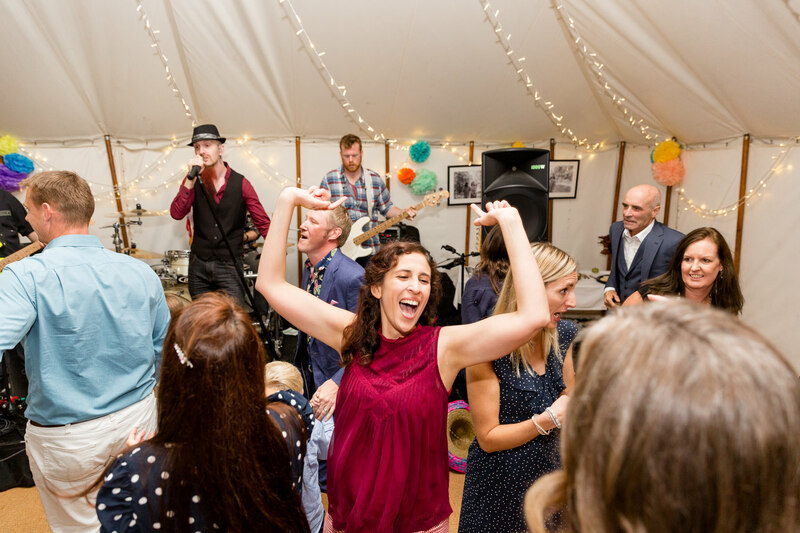 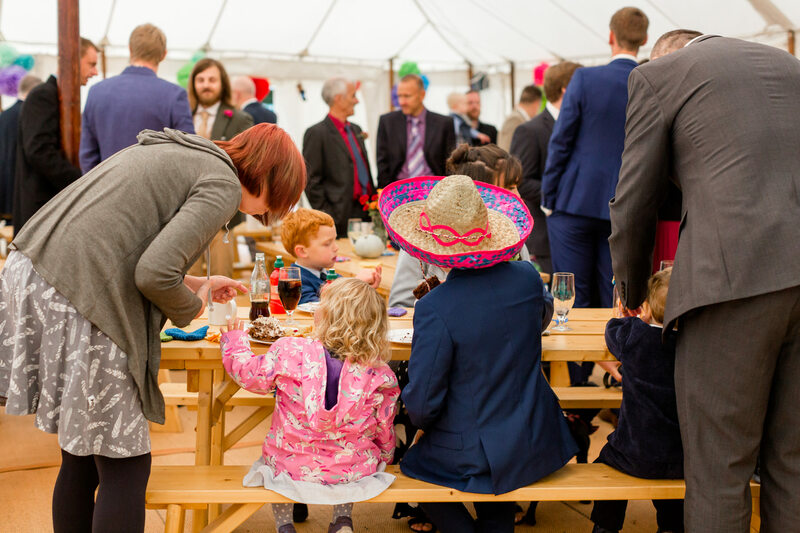 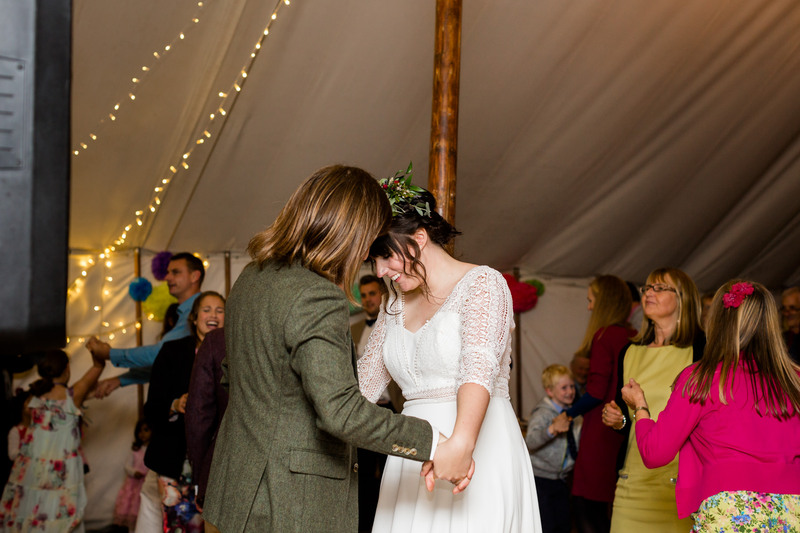 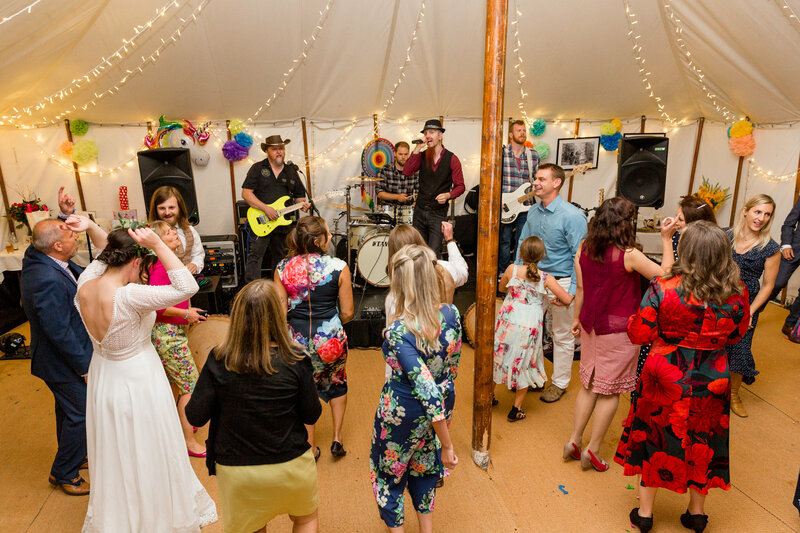 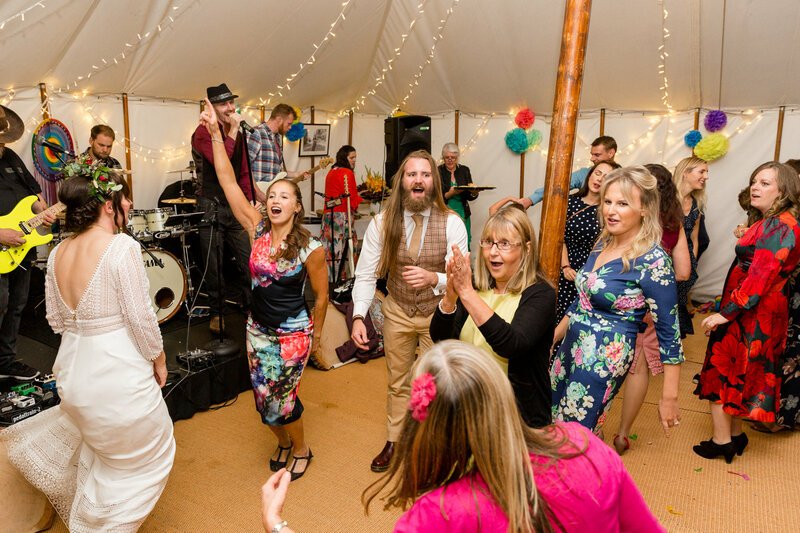 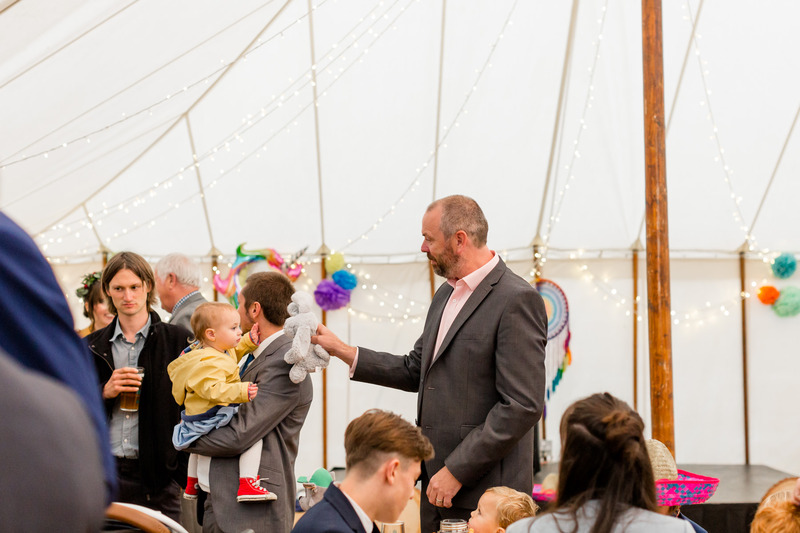 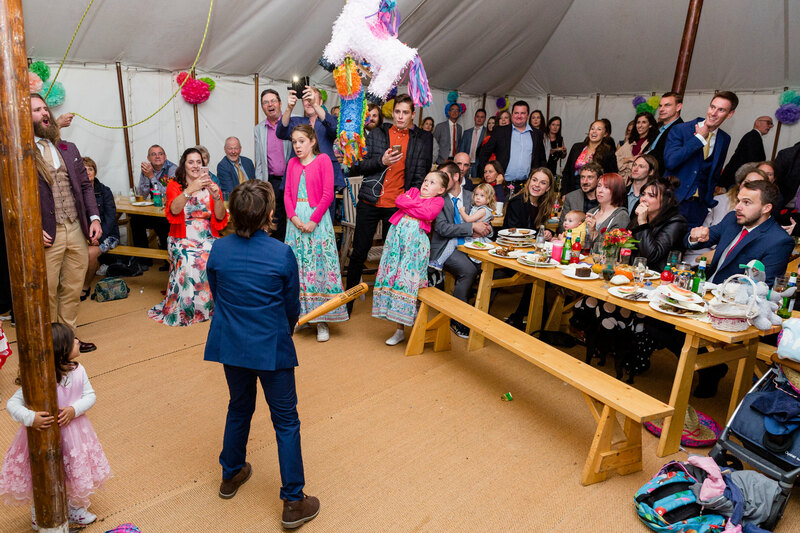 Lots of eating, drinking, piñata hitting and cake sparkling went on before Lottie and Mike kicked off the evening with an epic first dance to Guns N’ Roses Sweet Child O’ Mine! 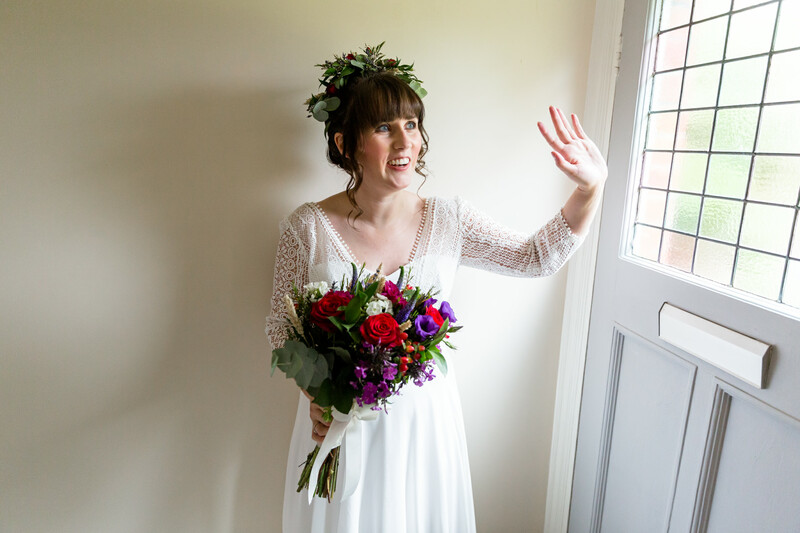 Here is a small preview selection of images from their day for you to enjoy!